Hi, I’m Emily Simmons, the new team leader for WINFRA - the DIO’s Wildcat Infrastructure Programme. I have been in post since October 2016 and I’m writing this blog to give you an overview of what we achieved last year and to give you a progress update on the infrastructure work here at RNAS Yeovilton, which forms part of the programme. 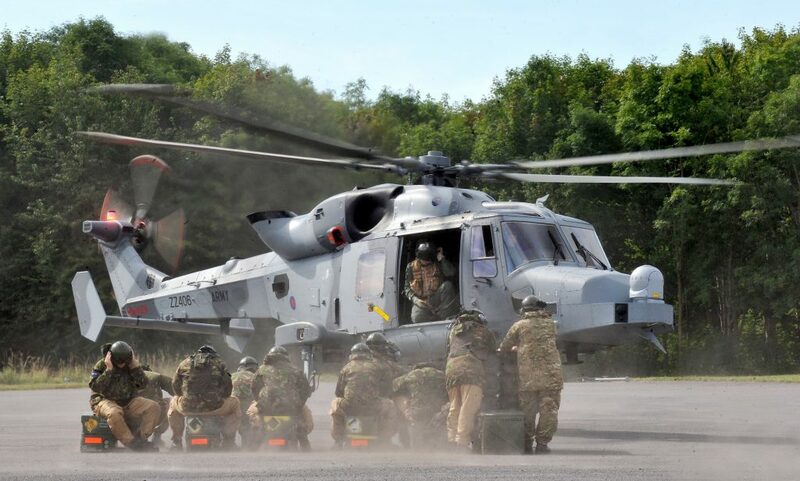 The Wildcat Infrastructure programme will provide the new training and office facilities, squadron buildings and living accommodation which will ensure that both servicemen and women at the air base are able to train for deployment using both the existing fleet of Lynx helicopters and the Wildcat. 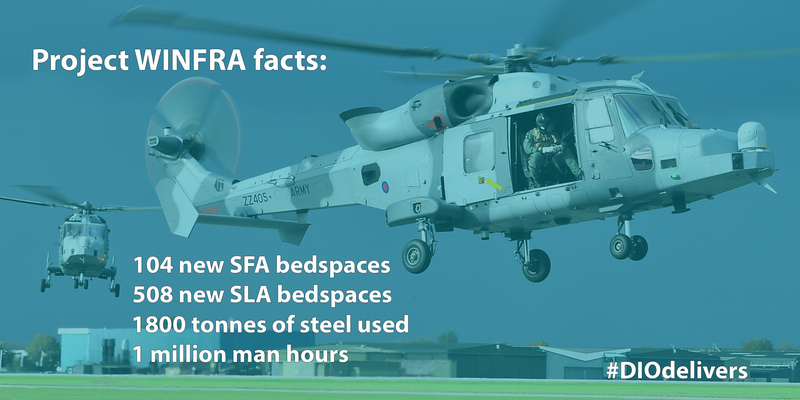 Last year we completed Contract 2 which delivered technical facilities worth in the region of £154m to facilitate the re-location of the Army Air Corps (AAC) from Guttersloh and Dishforth into new accommodation at the Royal Naval Air station Yeovilton. 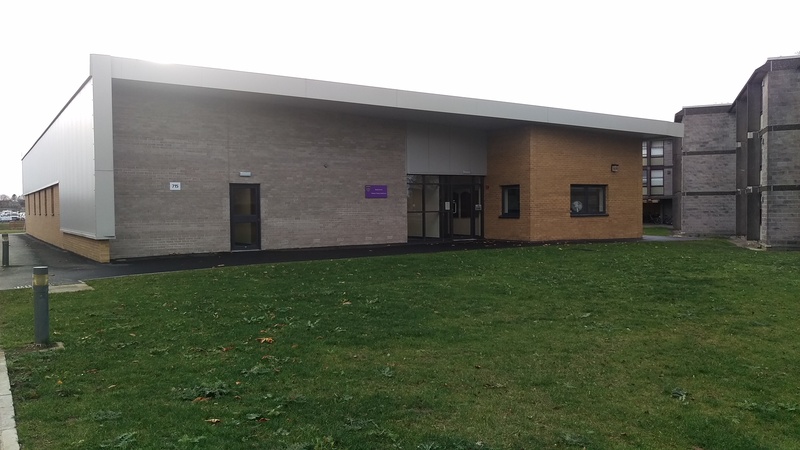 The new facilities included a new Quartermaster’s Store, Motor Transport Workshop facility; secure covered vehicle garaging, car park extensions, ancillary buildings (including new vehicle fuel and wash down point) and a cycle path. The AAC have been using their new facilities since February 2016 and have been impressed with the accommodation and workshops. We also handed over to the Lynx Wildcat Maritime Force (LWMF), operating both Lynx Mk 8 and the newly delivered Wildcat HMA Mk2, a refurbished Squadron Office Block for 825 Naval Air Squadron (NAS) and a new build Squadron Office Block for 815 NAS. The Senior Rates Mess and the Physical and Recreational Training Centre including the gymnasium, Multi Use Games Area and state of the art 4g sports pitches have also been handed over. The Senior Rates Mess is one of the biggest in the country and can accommodate a function for 500 people to enjoy a sit down meal. The latest facilities to be handed over include two out of three Single Living Accommodation (SLA) blocks which equates to 186 bed spaces. 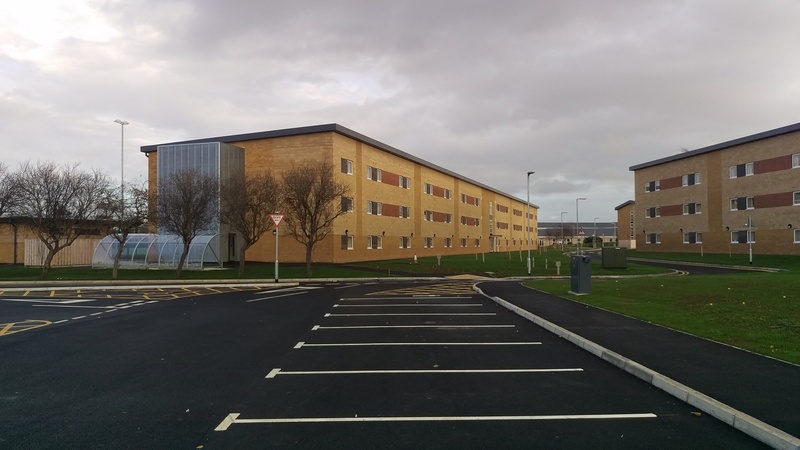 The new SLA buildings are built to modern Z scales and are a modular construction similar to the types of buildings in use all over the defence estate. Handover of these two buildings and the third later this year will provide RNAS Yeovilton with over 400 additional bed spaces. Some of the new Single Living Accommodation at RNAS Yeovilton. The next block should be completed by March 2017. We have also handed over Building 661. This is the HQ for 1 AAC and 661 and 659 Squadron. The new Video Fire Detection Systems that protect the hangers have also been handed over, commissioned and brought into service. These are fantastic technology. They recognise, via video, a fire starting or taking hold and alert the station. Older systems would hold off to be triggered by smoke or heat and then trigger sprinklers or foam suppression which can damage the expensive kit - namely helicopters! These systems are smart. Over the last year they have been learning typical activities that take place in the hangers and will not trigger the alarm if it is recognised as “normal", such as welding. In terms of statistics, the WINFRA programme will create 508 new SLA bed spaces and 130 Service Families Accommodation bed spaces. So far the construction has used over 1800 tonnes of steel (UK sourced), employed a 500 tonne crane to erect the steel work and over 1 million man hours have been worked with a peak number of approximately 450 workmen on site each day. All this work is to support the existing Naval Air Station, but specifically the uplift of an additional 750 Army personnel and over 30 Wildcat AH Mk1 helicopters. 2017 will see the completion of several projects within the programme, enabling RNAS Yeovilton to provide the necessary infrastructure to support the Navy and Army Wildcat in the same operational base. It will also deliver efficiencies as the single operating base for Wildcat. 2017 will also continue the development of a number of smaller but operationally important projects in the programme allowing them to progress to a level of confidence where they can be procured and delivered. These projects include uplift in capacity to the existing Bowser Park, a new Waste Transfer Station and roadway and highways works to facilitate better vehicular access and egress to the Station. The project is due for ultimate completion in the summer of 2018.